Medikoi Sturgeon is a quick-sinking pellet, specifically formulated to provide a complete feed for sturgeon and sterlet. This high-protein pellet has been designed to provide highly digestible proteins in a form that will allow them to be fully metabolised by your fish. 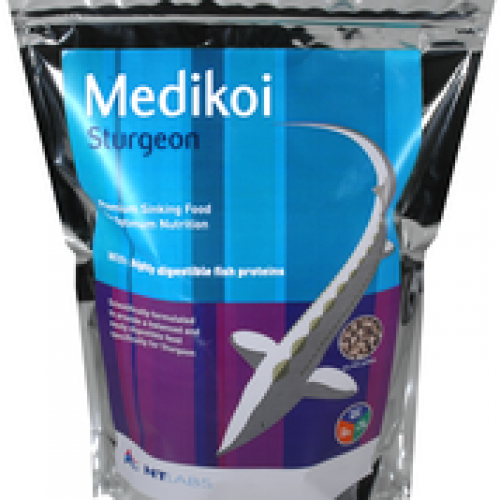 Medikoi Sturgeon is also packed full of vitamins, minerals and oils, making this feed highly palatable for sturgeon, sterlet and other species of pond fish. Protein (46%) – This Medikoi Sturgeon feed contains a high proportion of readily and easily assimilated proteins, allowing it to be easily and fully metabolised and digested by sturgeon, minimising waste. These first class proteins will provide your fish with the essential amino acids they require and which can only be found in in a high-quality diet. Oils (15%) – Medikoi Sturgeon contains oils rich in omega-3 which meet the high energetic requirements of sturgeon and sterlet, and is safe to feed to your sturgeon and sterlet all year round. Sinking Feed – This pellet has been designed to quickly sink to the bottom of the pond to ensure that your sturgeon and sterlet can begin feeding immediately, helping to maintain optimum water quality. Before feeding Medikoi Sturgeon, feed your pond fish Medikoi Staple, or another food in the Medikoi range, to keep these other species occupied and prevent them outcompeting your sturgeon for this high-quality, sinking feed. Spring: As water temperatures begin to increase, so too will the activity and energy demands of your sturgeon and sterlet. Gradually add Medikoi Sturgeon pellets to the pond, only adding more when all the pellets have been eaten. Summer: During these warmer months, sturgeon and sterlet growth is at its maximum, creating high energy demands in these fish. Be sure to feed Medikoi Sturgeon regularly, an amount which your sturgeon will consume before they become disinterested. It is important to check your water quality regularly using Pondlab Test Kits during this time, and remove any uneaten food. Autumn and winter: Sturgeon will continue to feed at temperatures as low as 4°C. Continue to feed Medikoi Sturgeon as temperatures begin to drop, but monitor the amount your sturgeon are eating and adjust the amounts you provide for them accordingly. 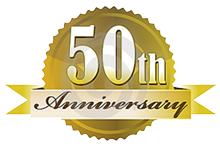 Wheat, Fish Meal, Poultry Meal, Soya, Blood Meal, Maize Gluten, Sunflower Meal, Rapeseed Oil, Lecithin, Haemoglobin Powder, Algae, Yeast-derived Product (Stimune). Protein 46%, Fat Content 15%, Crude Fibre 1.4%, Inorganic Matter 6.5%. Per Kg: A 10000 IU, C 490 mg, D 2790 IU, E 200 mg, EEC permitted preservatives and antioxidants.